Get Ready for Third-Longest Freezing Streak on Record, and What the Heck Is 'Bombogenesis'? It's cold out there, but how does this sub-zero stretch rank? Some answers. From co-workers to family members to coffee shop minglers, you've heard this phrase a bunch the last week: "Oh my gosh, it's cold!" No one is disputing it. But how cold does this freezing weather rank against past Arctic blasts? And what are some of the side effects to us fragile humans, and the environment around us? Here are some answers. When was the last time the temperature hit 0 Fahrenheit in Philadelphia? At the Jersey Shore? You have to go back almost 24 years to get a thermometer reading of zero or below in Philadelphia. On Jan. 19, 1994, the temperature hit minus-5 at the Philadelphia International Airport, according to the meteorologist Mitchell Gaines at the National Weather Service in Mount Holly. By contrast, at the Jersey Shore, the temperature hit zero less than a year ago: Jan. 9, 2017. Why the big time difference? How long has it been below freezing? For the past eight days, we've failed to reach 32 degrees Fahrenheit, according to the temperature readings at the airport. What's the record for consecutive days without a high of 32 degrees or above? And how's the outlook for this current streak? Fifteen days. That happened twice: in 1961 and 1979, Robinson said. The outlook is pretty strong, if we make it past Wednesday afternoon. NBC10 First Alert Weather meteorologists are currently forecasting a high of 31 degrees for Wednesday. Then, it gets even colder than it's been. And a snow cover expected Thursday should help push the streak to 12 by Sunday. That would be the third-longest ever after those 15-day runs. So what should people be doing in the midst of such a cold streak to keep their homes in order until warmer air moves in? Check your plumbing. Turn off valves to outdoor faucets. Make sure your basements aren't below 32 degrees. Check the batteries in your thermostat. Plumbers say they get calls every year from frantic homeowners about no heat in the house. Their first piece of advice: Replace the batteries in your thermostat. Make sure the tires in your vehicles are inflated to proper pressure levels. 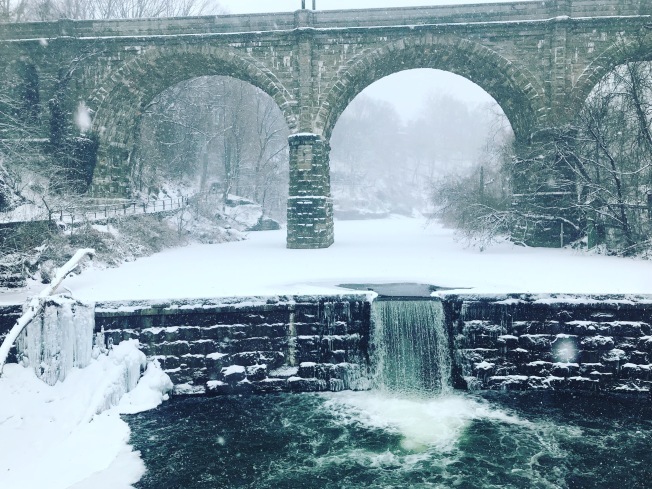 Ice forms in the Schuylkill River on a bitter cold day, Tuesday Jan. 2, 2018 in Philadelphia. 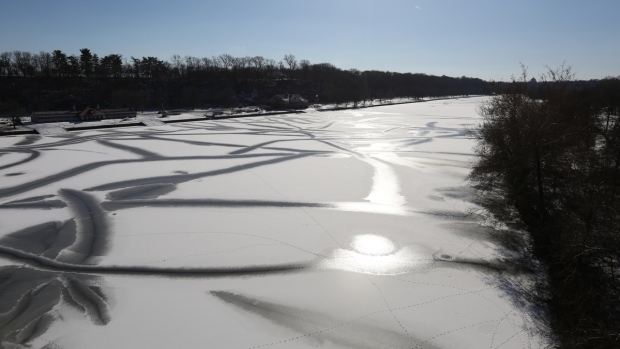 Ice sheets are gathering on the Delaware and Schuylkill rivers. 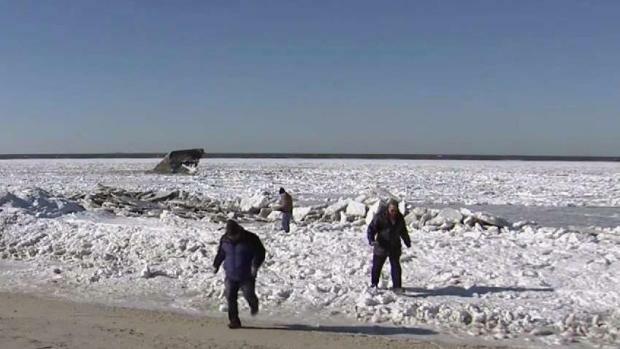 There are even large icy patches now on the Delaware Bay. Do rivers and other large bodies of water freeze as much as they used to? The two big external factors that go into freezing rivers: temperatures well-below zero and number of days in a row of sub-freezing temperatures. Sound familiar? Two other factors related to the waters: Salinity levels of the rivers and river flow. Less salt in the water means quicker freezing, and slower water flow increases freezing. All four of those factors are currently producing conditions for ice on the Delaware and Schuylkill rivers. As water freezes across the Jersey Shore, residents are preparing for the snow to come. NBC10's Cydney Long has the story. The nor'easter that slammed into our region transformed into something more potent because of "bombogenesis." What the heck is a bombogenesis? It's a term popular among meteorologists for what happens in a rapidly intensifying nor'easter. The word's popularity is perhaps rooted in the fact that its the process that creates a "bomb cyclone," which sounds rather frightening. Technically, for a nor'easter to undergo bombogenesis, it must quickly drop 24 millibars in barometric pressure.